I have recently witnessed a major outcry among the webmaster community regarding guest posting. Suddenly, guest posting is considered as a banned activity and webmasters are even afraid of accepting guest posts on their site. Hold on....all this happened after Matt Cutts posted Google's views on guest blogging on his blog (a great link bait for Matt Cutts :) . This post scared the black hat SEO's which was good but alas, it also scared legit webmasters who suddenly thought every form of guest posting is banned by Google. Convinced? 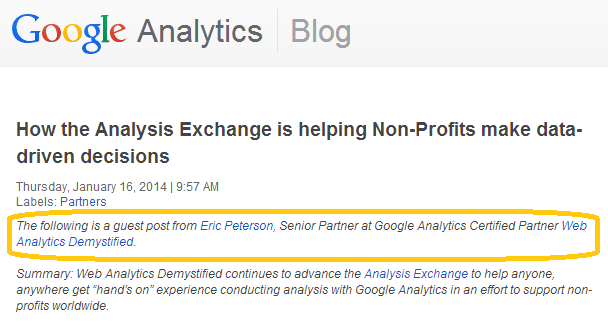 When Google can accept guest posts in its blog, why can't we? magazines and websites then you are most welcome to do so. Guest blogging should be done with the sole purpose of sharing your expertise with the end user. It should not be done with the sole purpose of generating a backlink. If you are using guest blogging as the only strategy for building backlinks for your site, then you are in big trouble. Guest blogging has come in Google's radar as a spammy link building activity. If the overall link profile indicates that your site is getting backlinks only by way of guest posting then the next Penguin update might include special algorithms for detecting spammy guest blogging activities that will penalize your site. 1- Guest blogging are always done by experts so ask yourself, are you an expert in your domain? 2- Sites that openly accepts all forms of guest blogging should be avoided. Those are no less than article directories. 3- Use guest posting to increase your followers and not your website's backlinks. 5- Make sure your contribution helps the end user. Check out the comments and social shares your written content is receiving. This will provide an idea of how well you are able to attach with your audience. Guest posting is a means for increasing your social popularity and not the only way of building backlinks. This does not means don't take backlinks from your guest posts. Users should be informed about the person who has written the guest post and backlinks should therefore be provided (Remember, the Google example I shared above!) but don't make it a necessity. Matt Cutts did a great job in educating the people about the real value of guest posts with his new blog post. Are you following the legit way for guest posting?